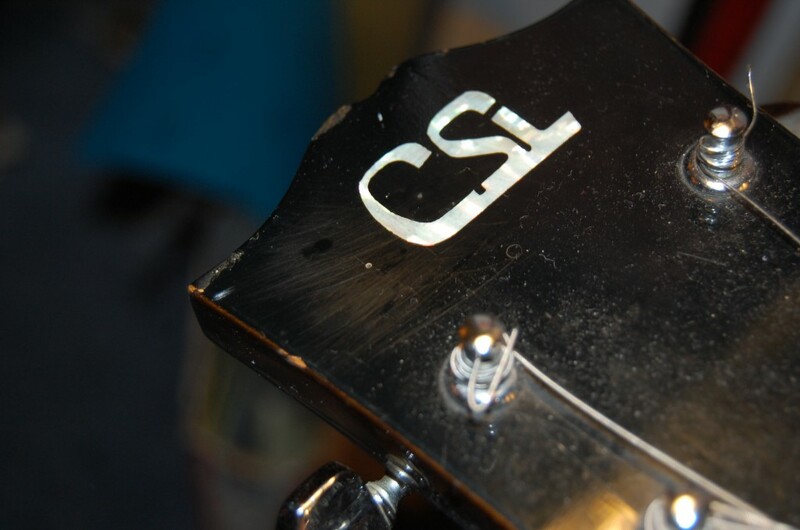 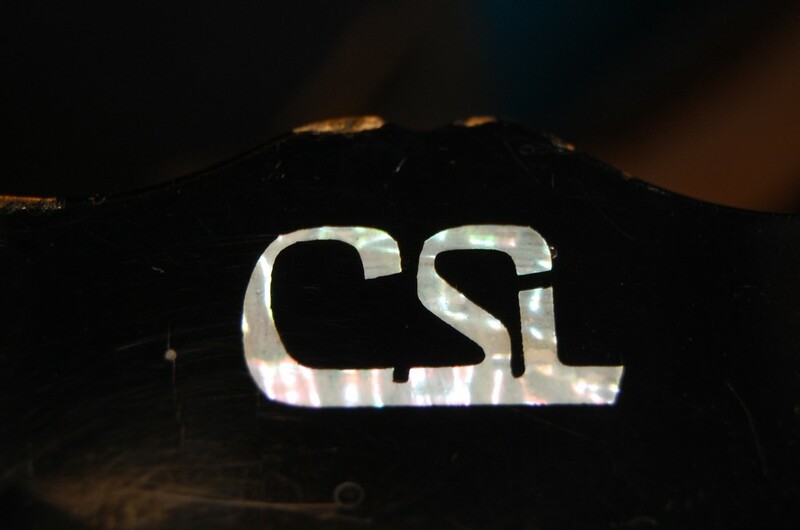 CSL MIJ Les Paul Personal Repair/Service | SMP Artizan "Guitar and Amplifier Tech Works"
Ebay pics before work grubby fret board… Pretty messy electric not sounding that good Previus Techs notes.. the tone lever sounded pants.. Old tuners knackered and had to go… Scratches needed sanding then buffing out.. Cleaned up for new tuners Lovely Pearloid Inlay New tuners in place Maxon MIJ pickups.. Ply Top over Mahogany Laminate Old Electrics stripped out Secret weapon caps.. All good to go simple volume tones and coil tap and reverse phase.. tone switch bare.. New bridge and tailpiece used.. NOS Noce pearloid inlays after cleaning Have shrunk a little.. since 1972 I estimate.. 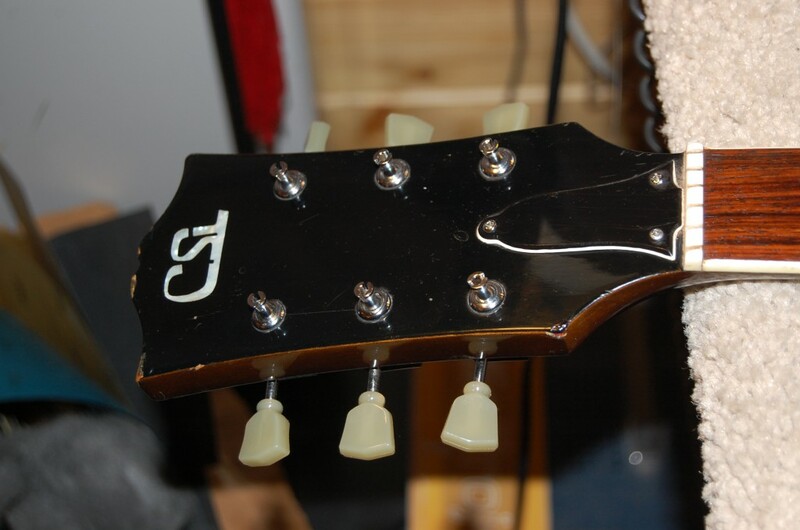 Finished off and sounding great! 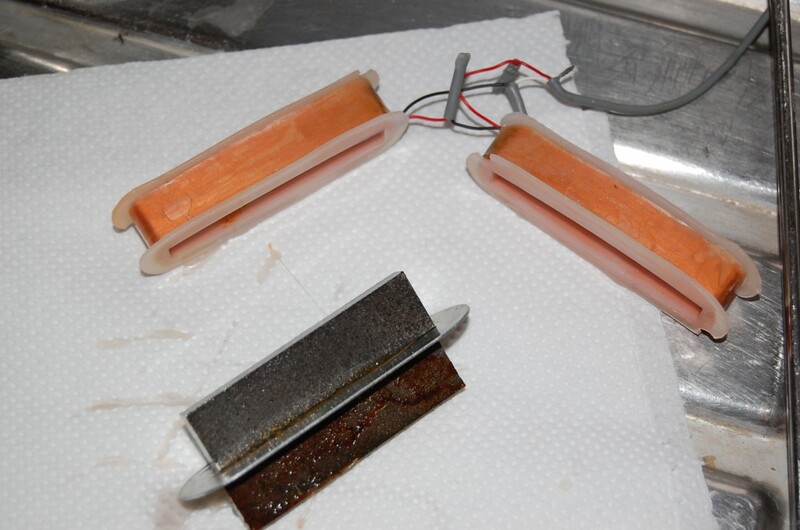 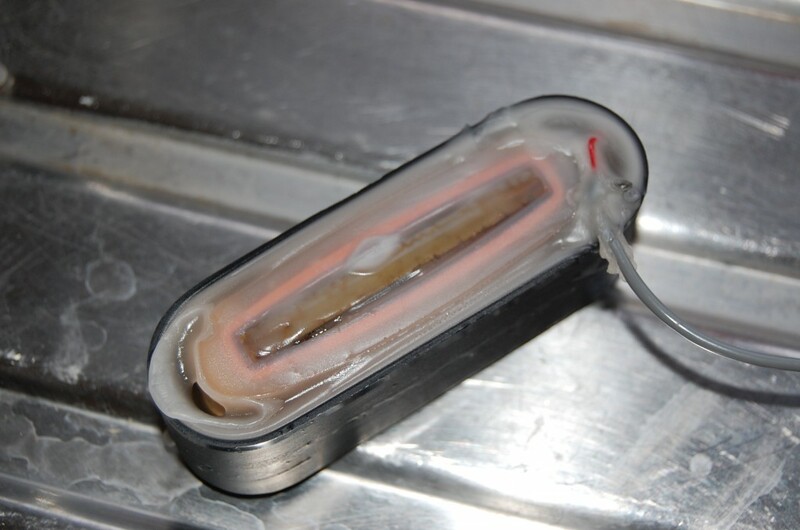 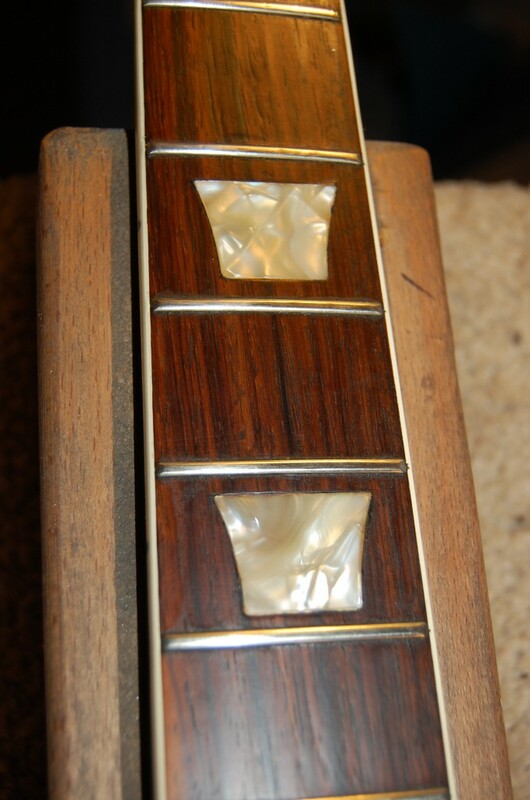 Intregued that the rear pickup was nor humbucking so opened her up and heated the wax pot so I could melt the exisiting wax OK here we have 2 could back to back both wored in phase Mmmmm to makeit humbucking I reveresed one of the coils and one of the magnets (as it should be) and 2 magenets north to south.. Repotted and cooling.. 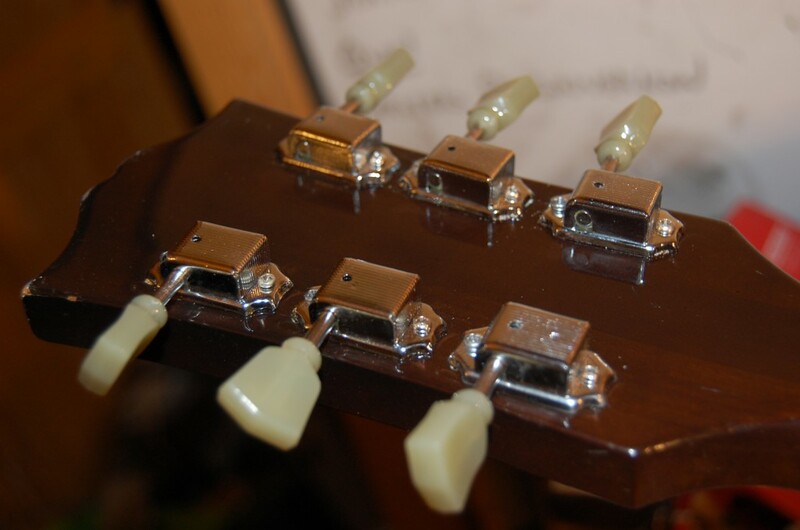 I also filled some fo the cavities to stop the ply top vibrating Blocks of 10mm ply used Pretty solid now with no strange rattles. 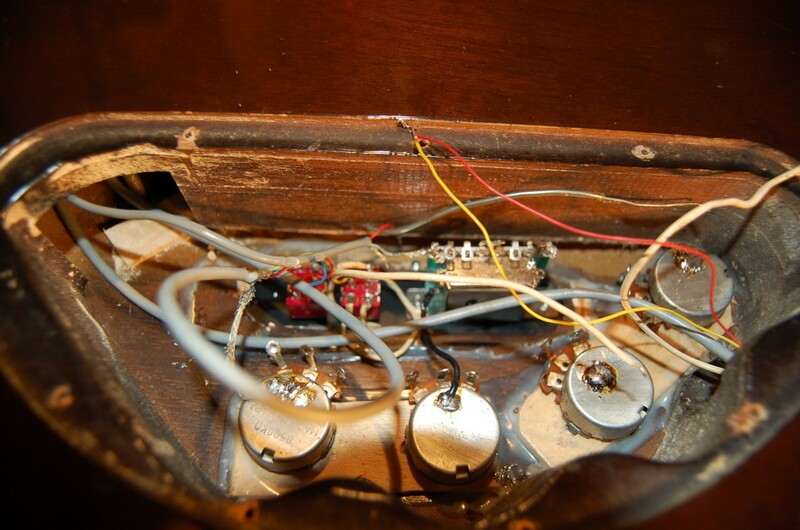 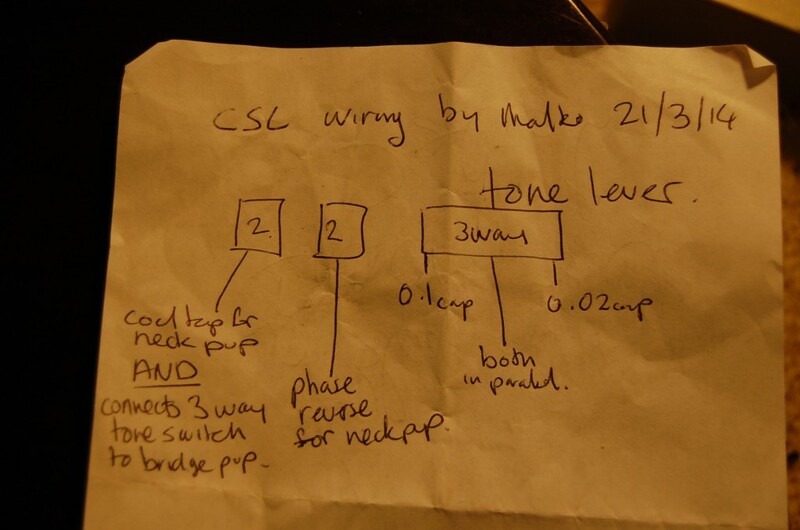 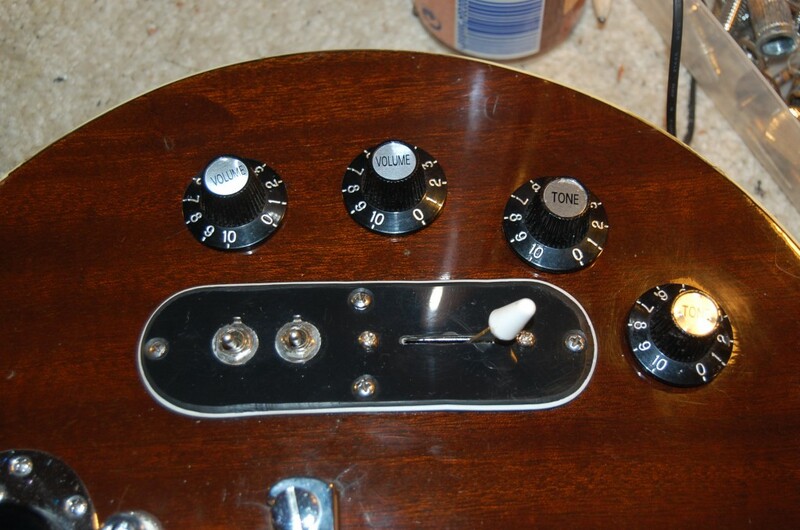 Feedback also improved with tubes instead of springs Feedback now improved I also simplified wiring removing the top switch and using the old Tone switch as a pickup selector. 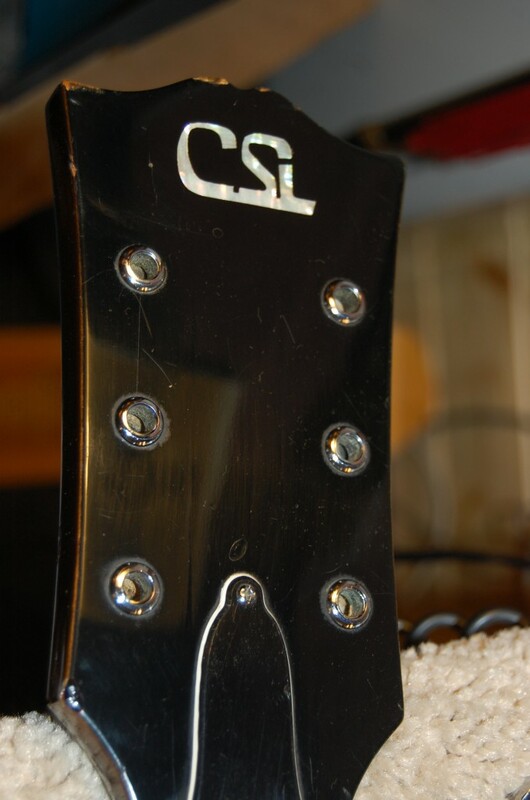 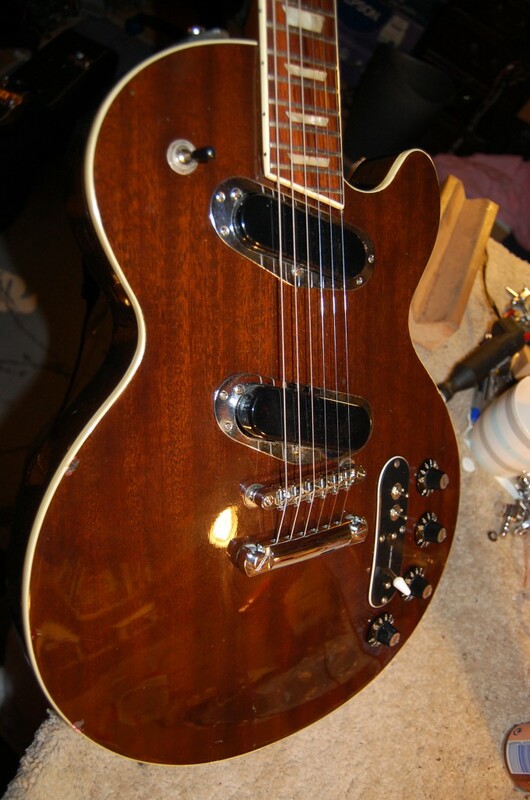 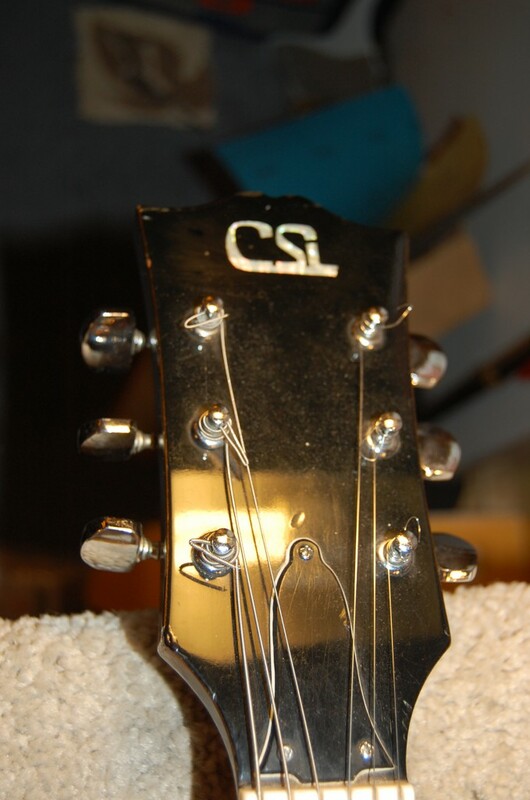 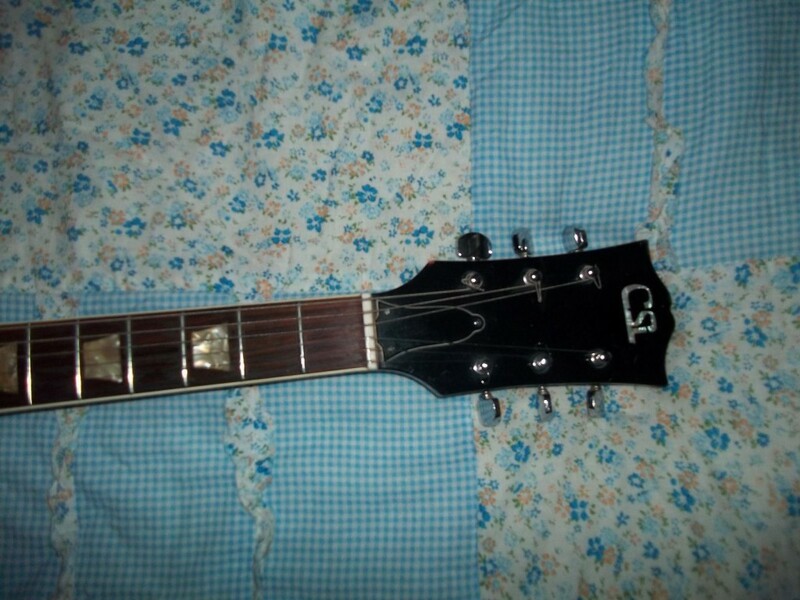 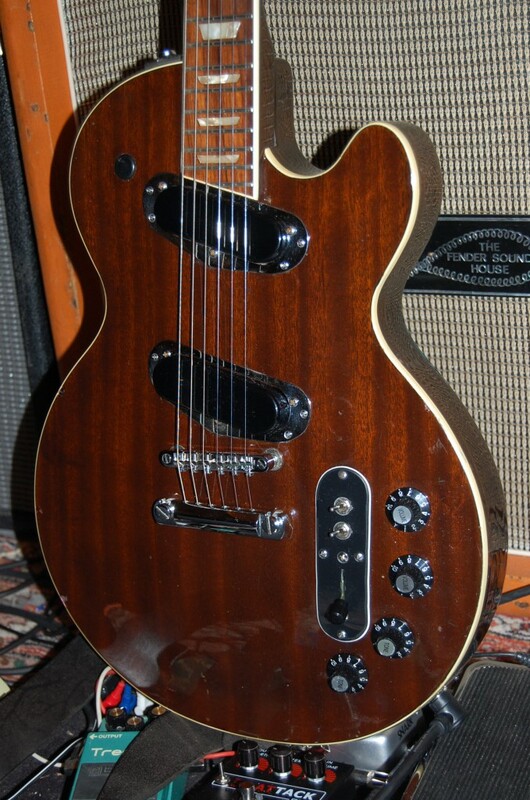 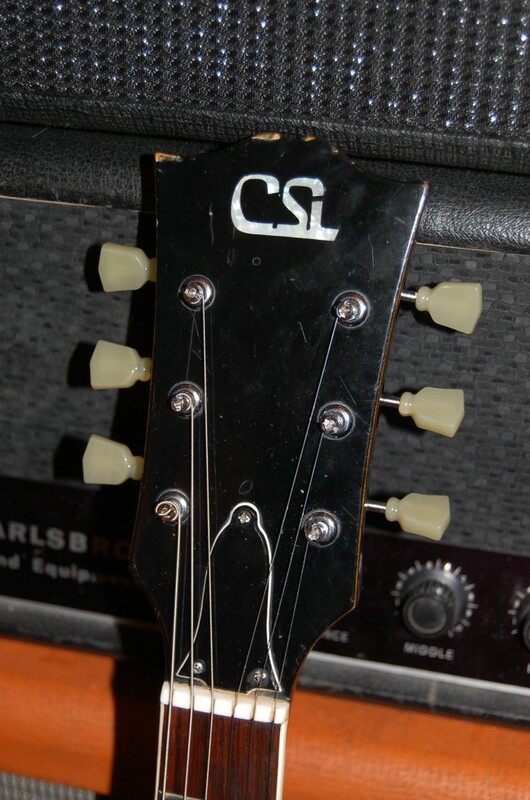 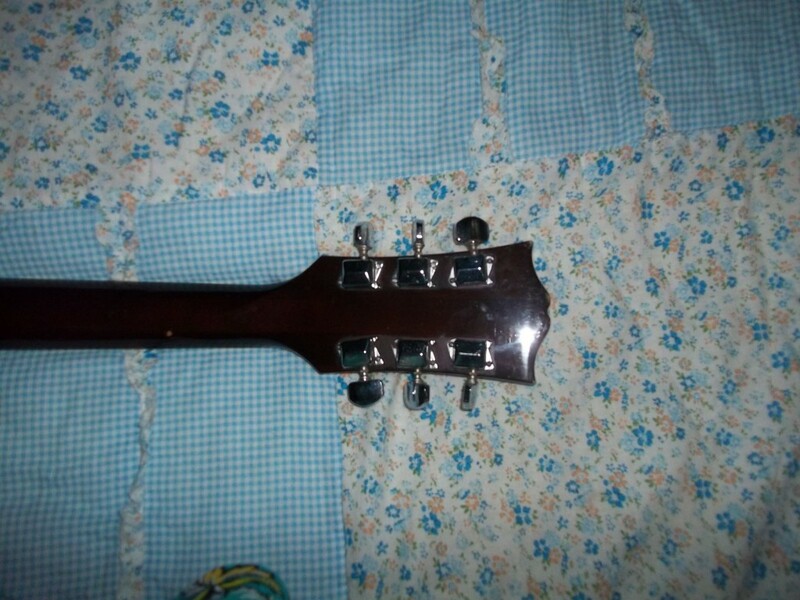 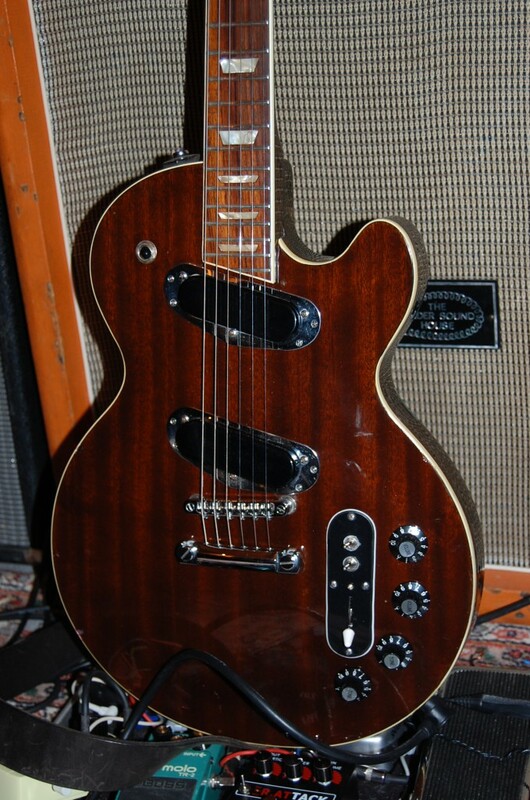 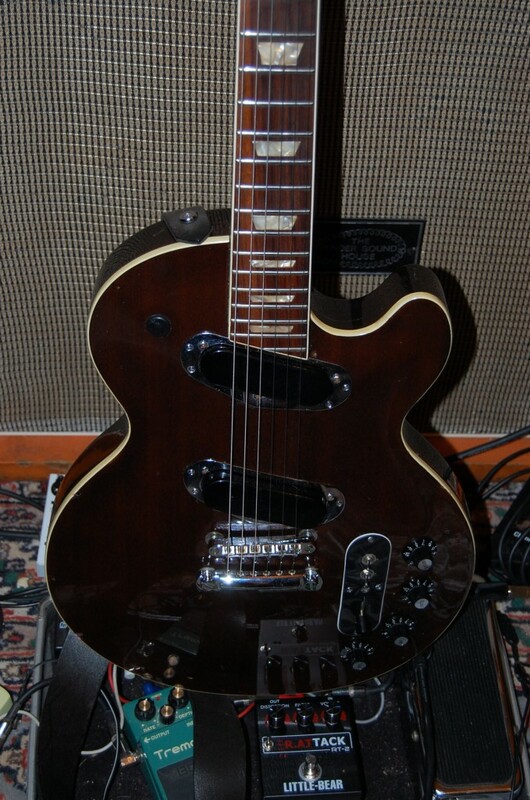 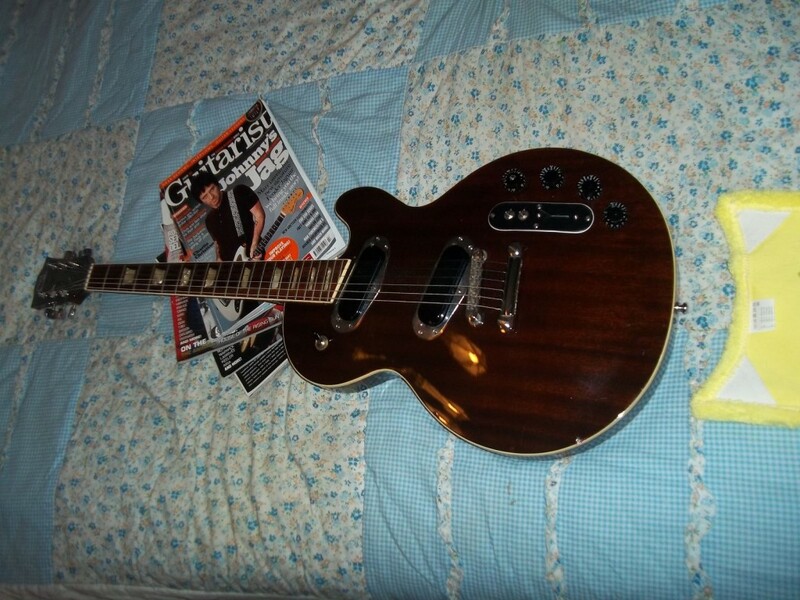 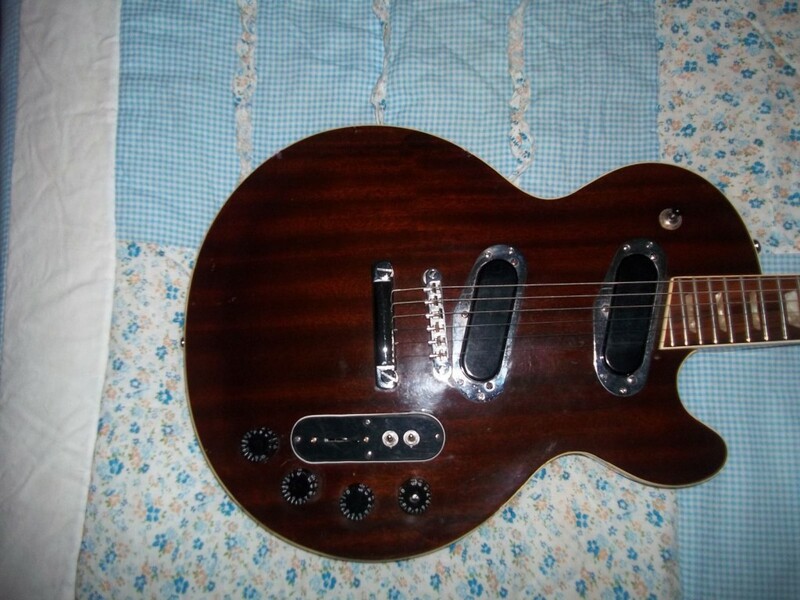 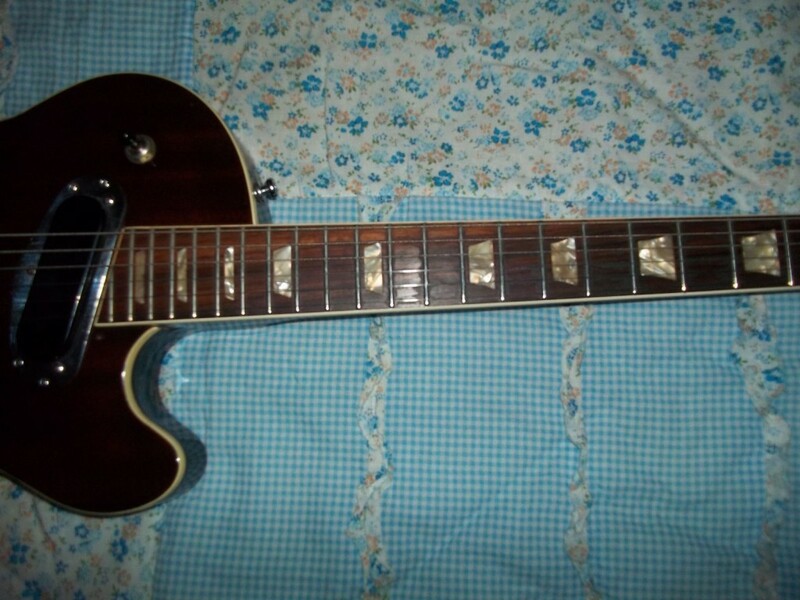 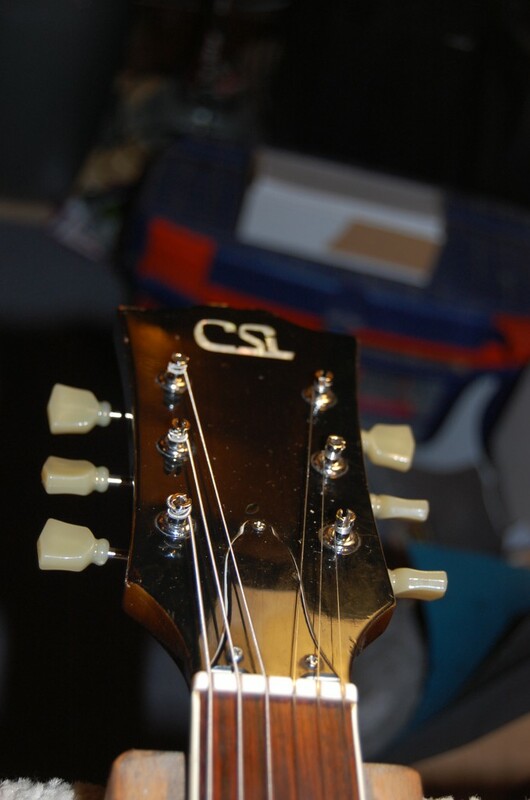 Love this one.. a keeper	Interesting CSL Les Paul Personal Guitar.. identical to the Ibanez 2372 and probably make in 1972!. 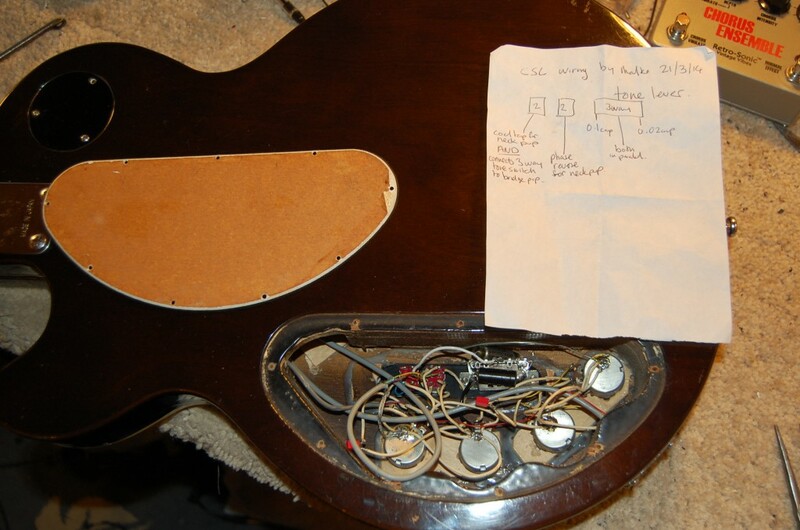 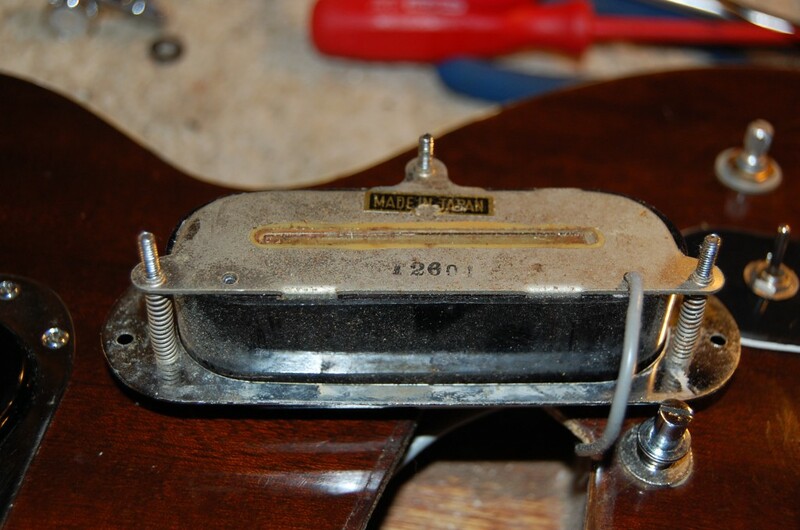 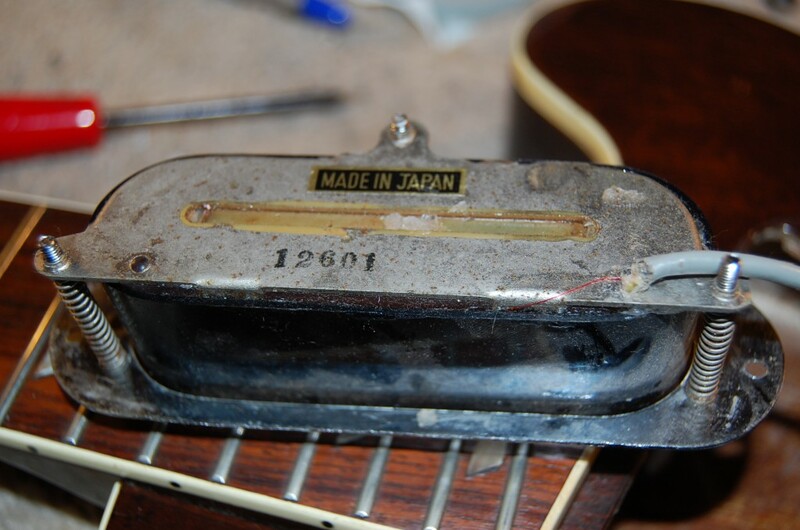 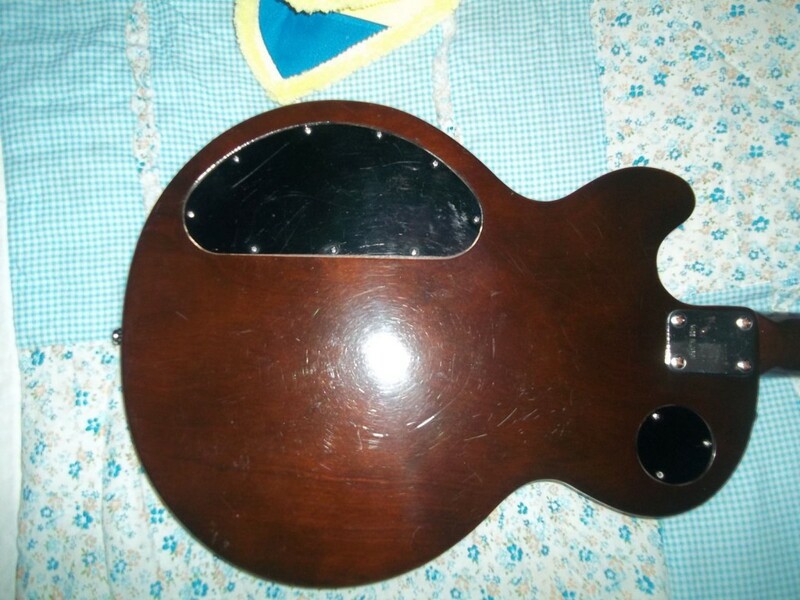 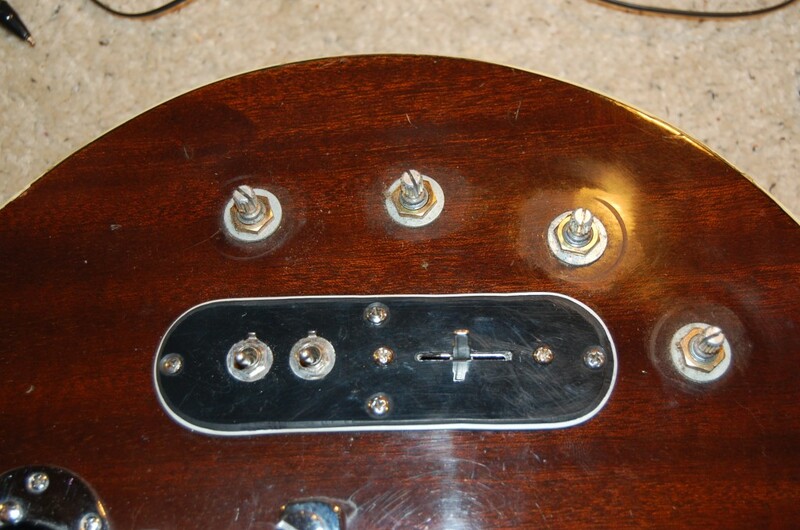 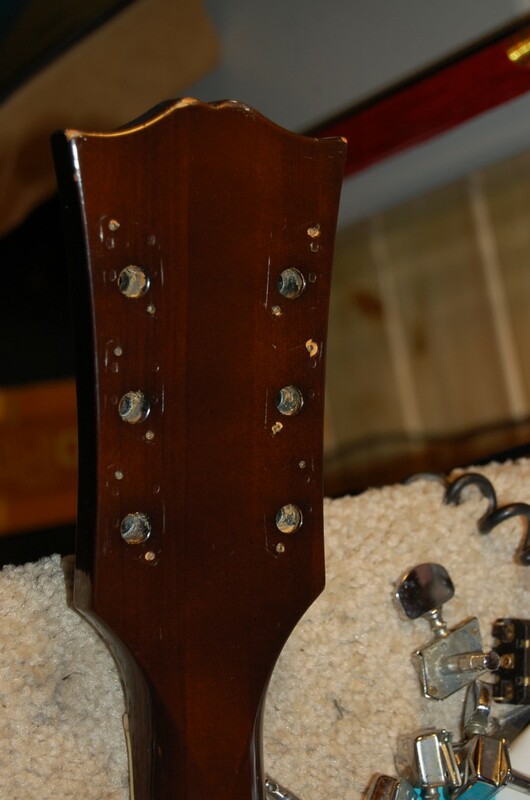 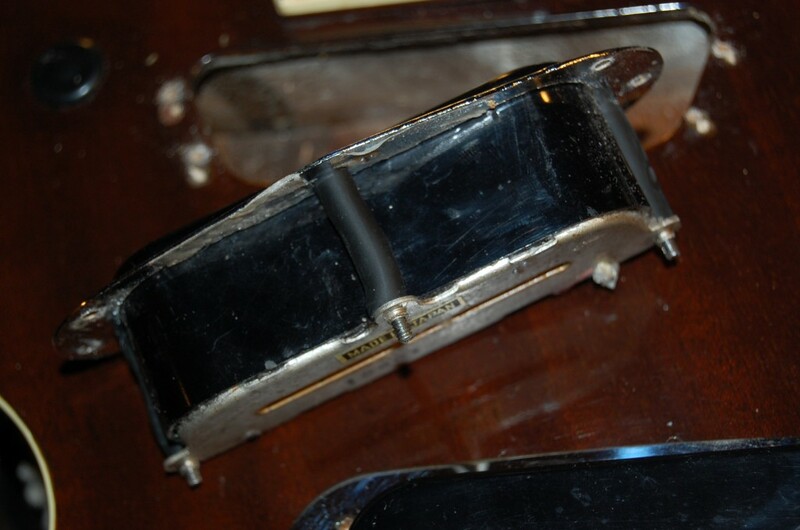 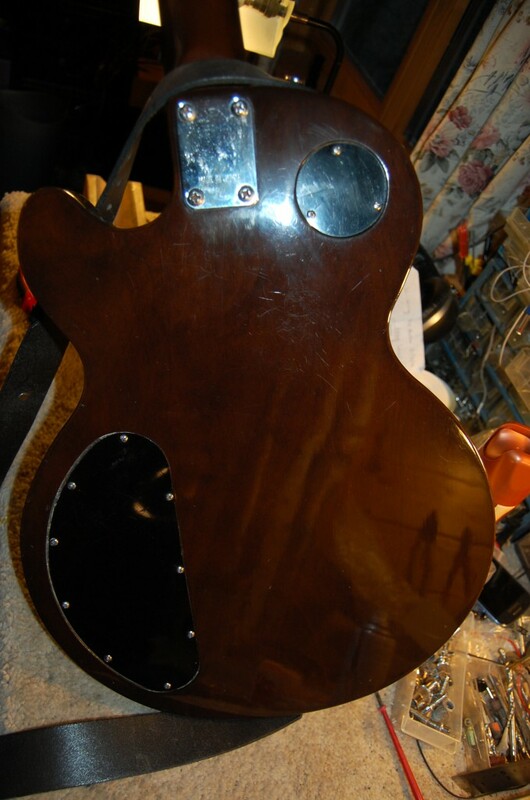 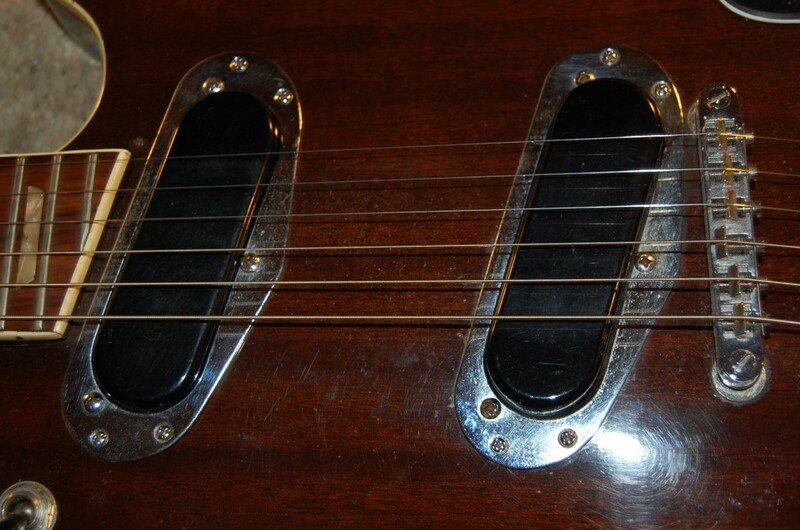 See pics for story.. Pickups interesting both 9.5K.. stacked single coils front one wires Humbucking with could tap. 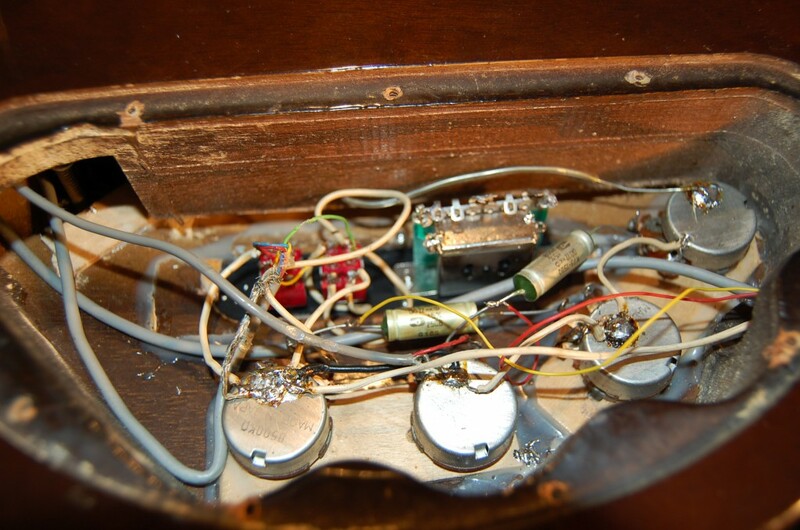 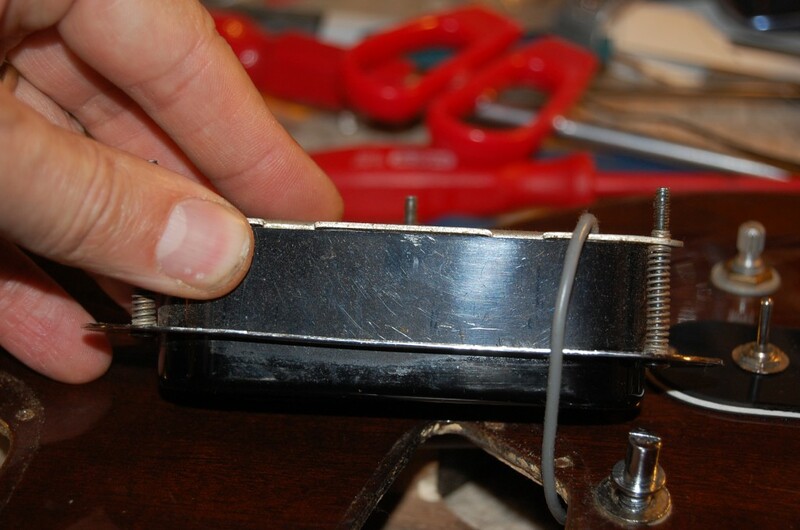 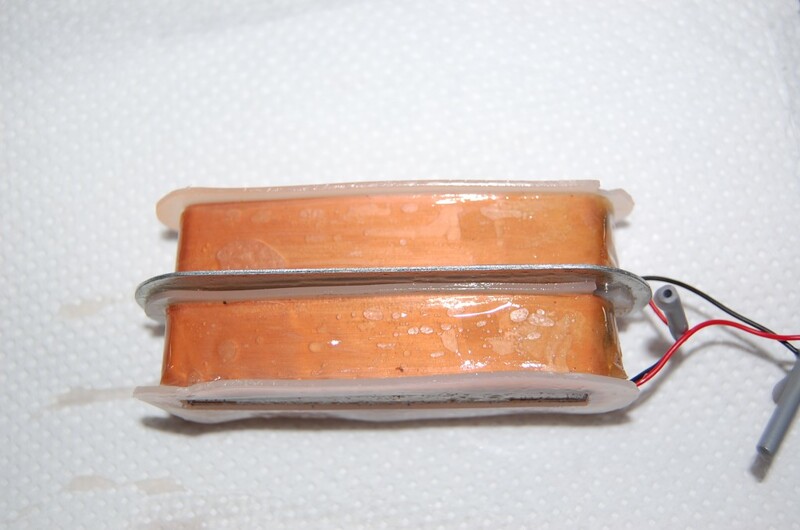 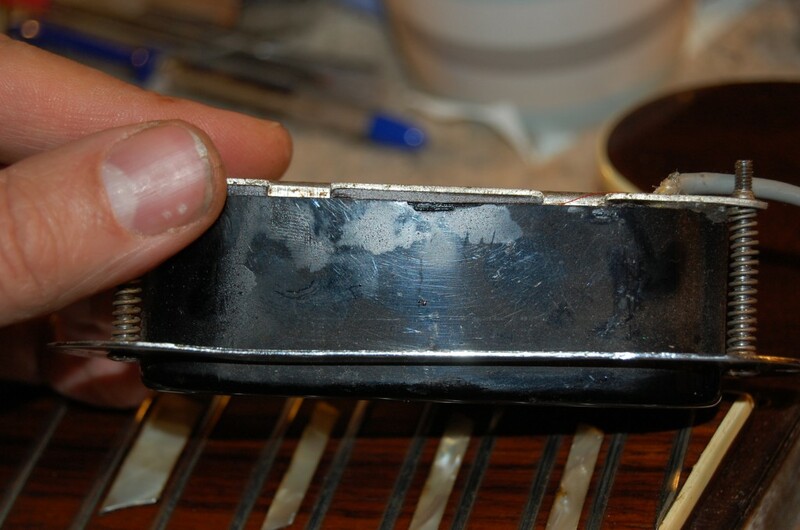 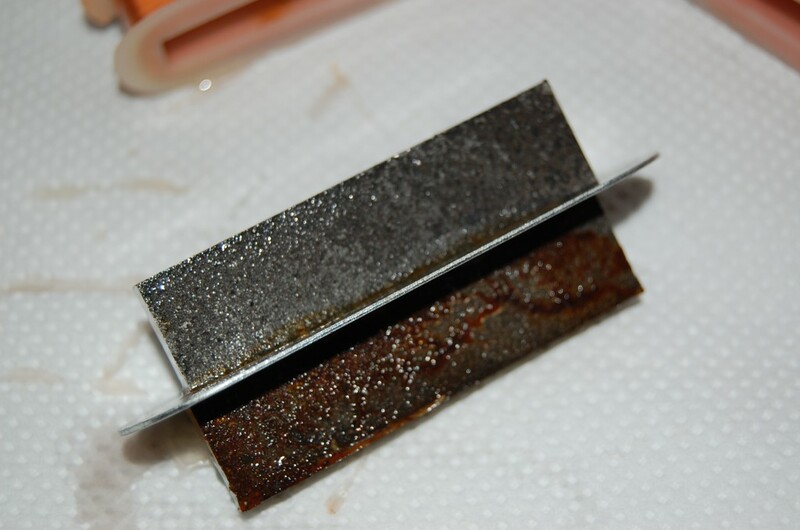 The rear one just wound as a large single coil none Humbucking but loud… a bit micro-phonic…so openened her up and wored the coils correctly and the magnets the right way around repotted and all good. 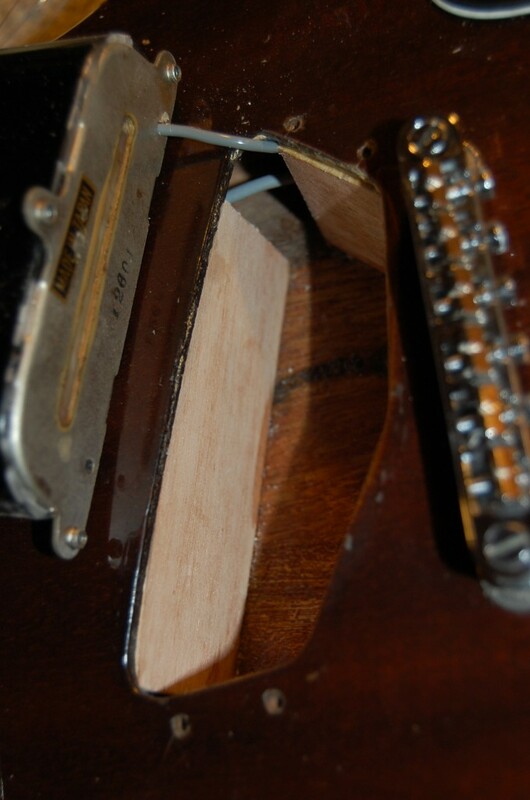 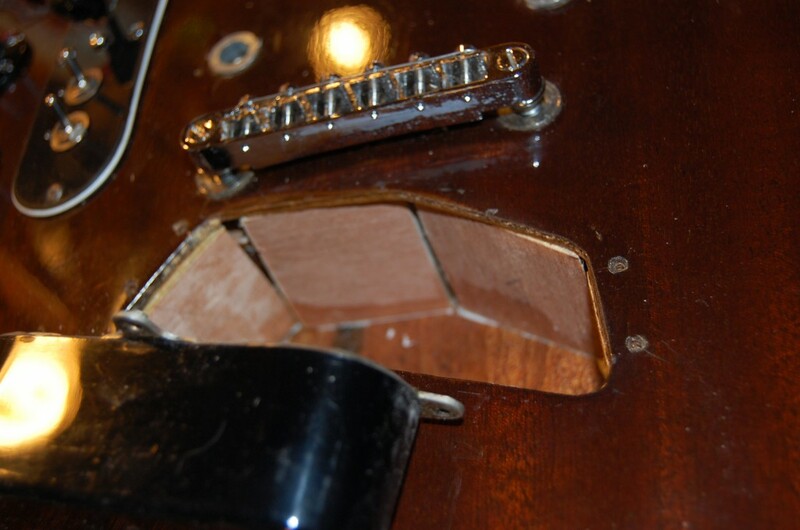 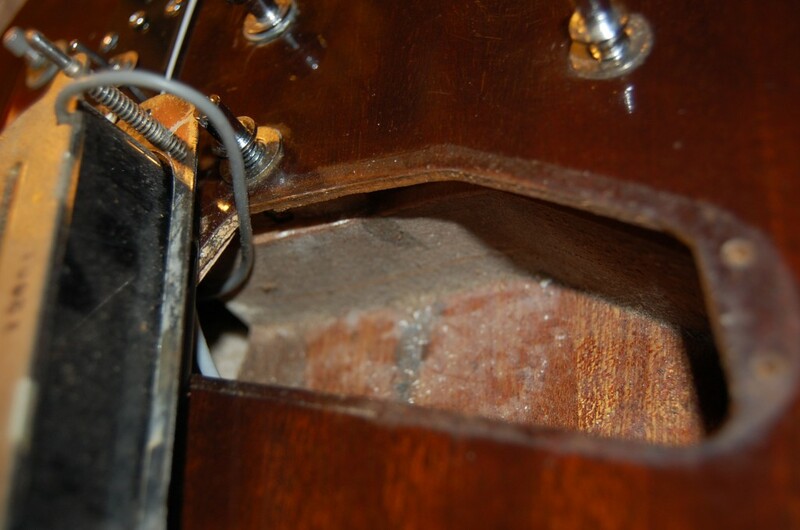 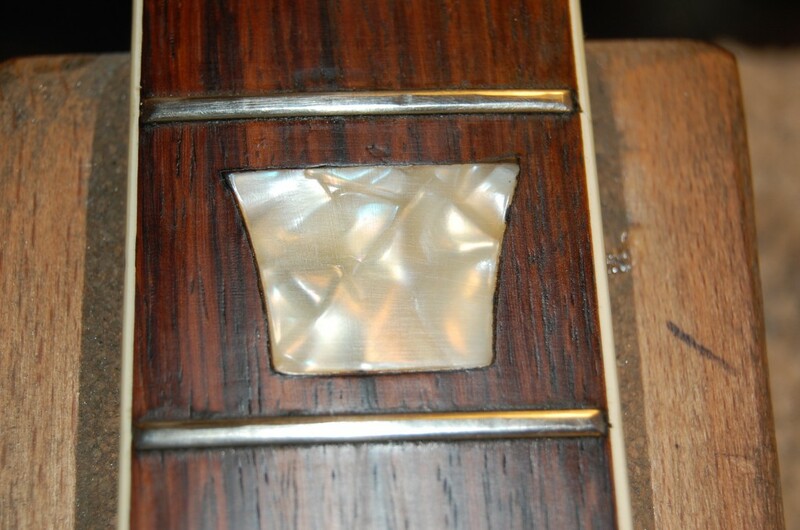 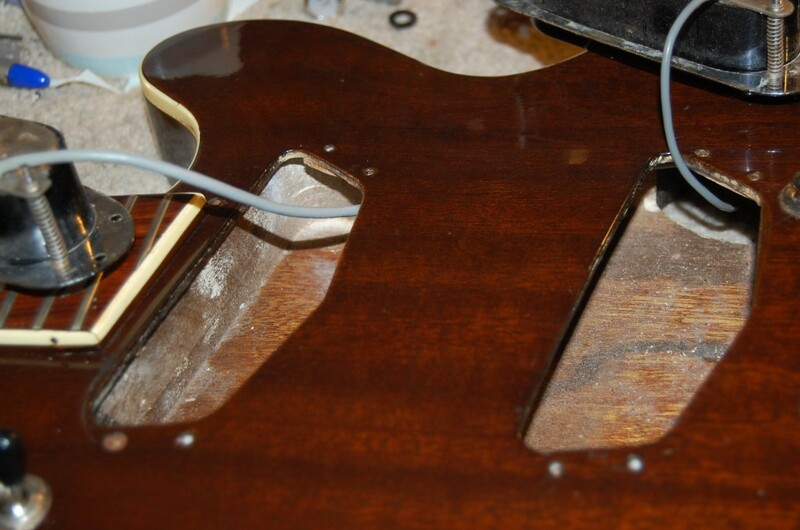 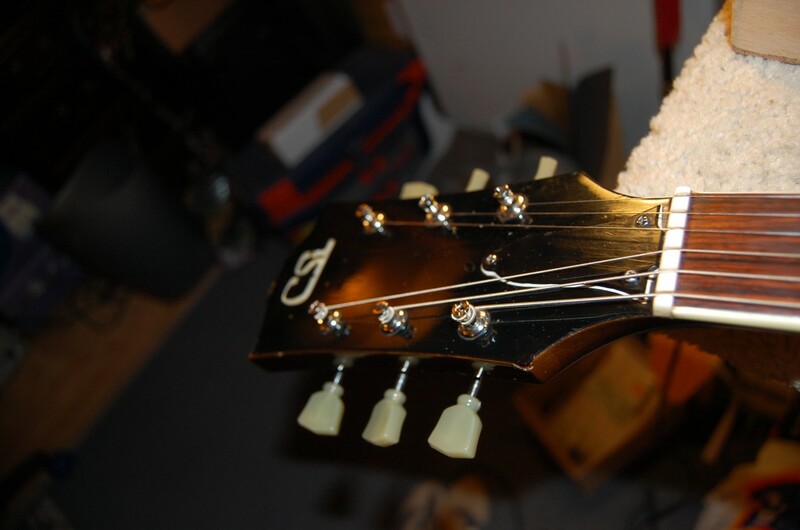 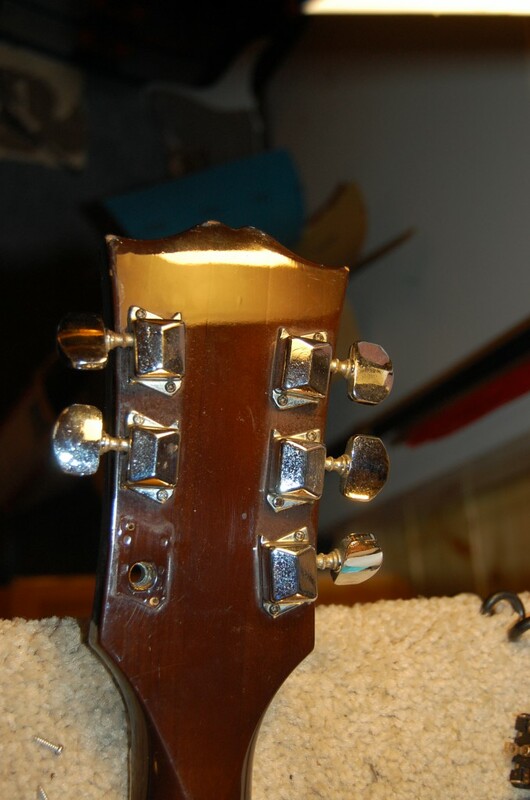 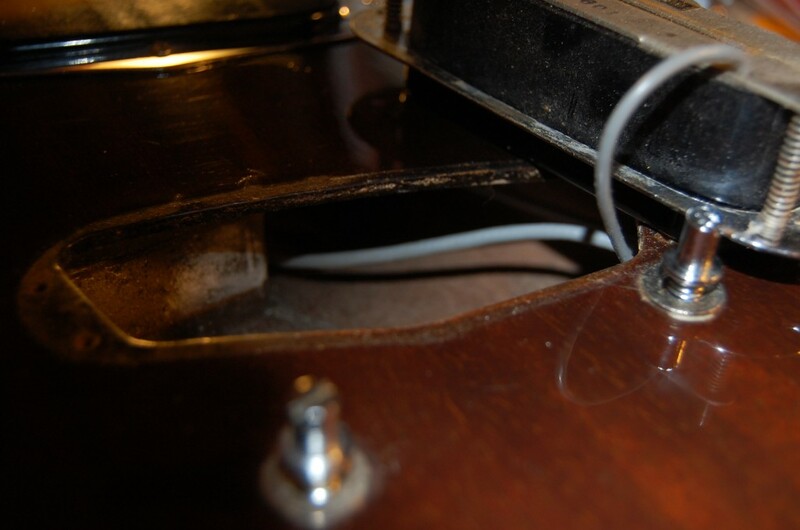 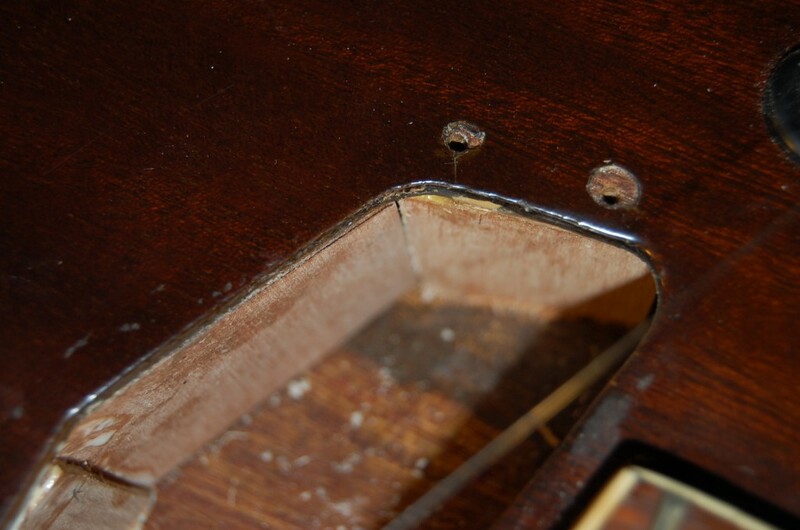 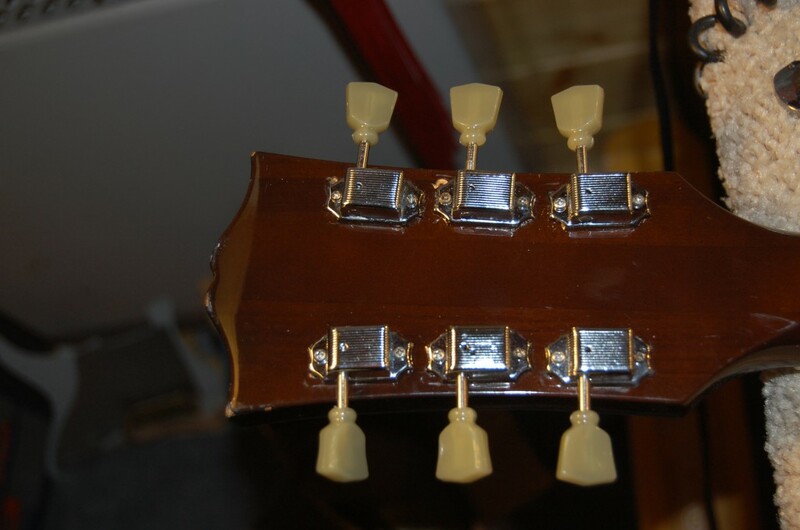 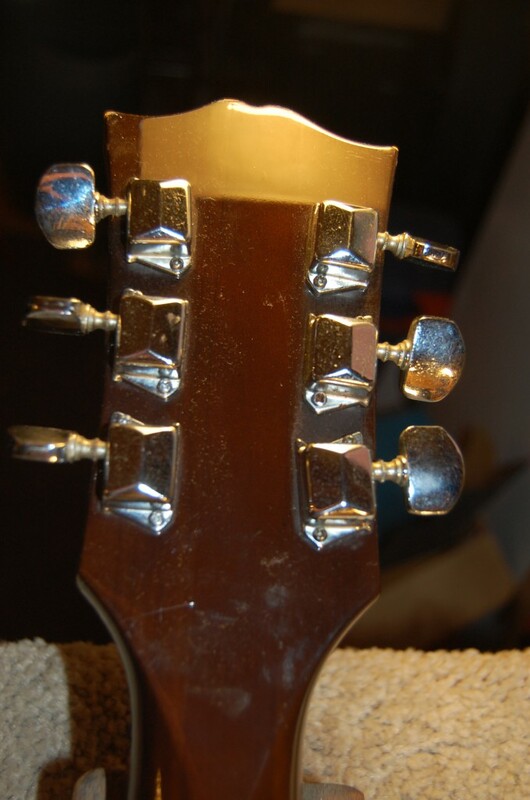 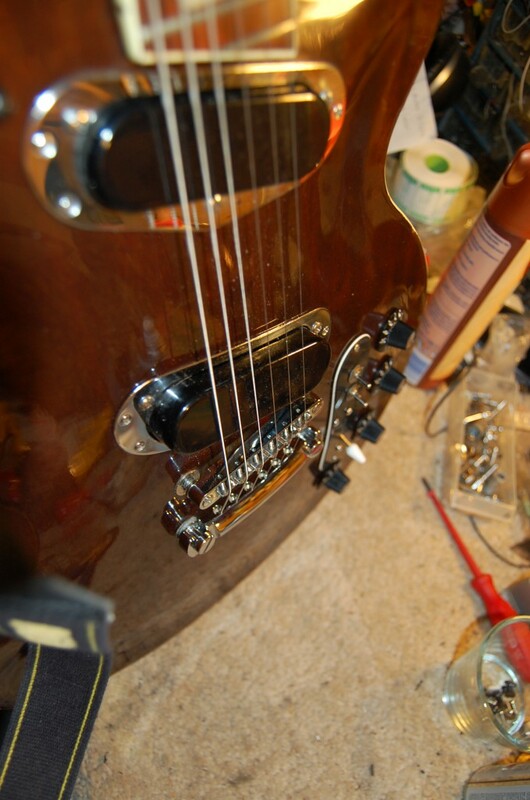 I also made the guitar a little less of a Semiacoustic to improve performance under high gain. 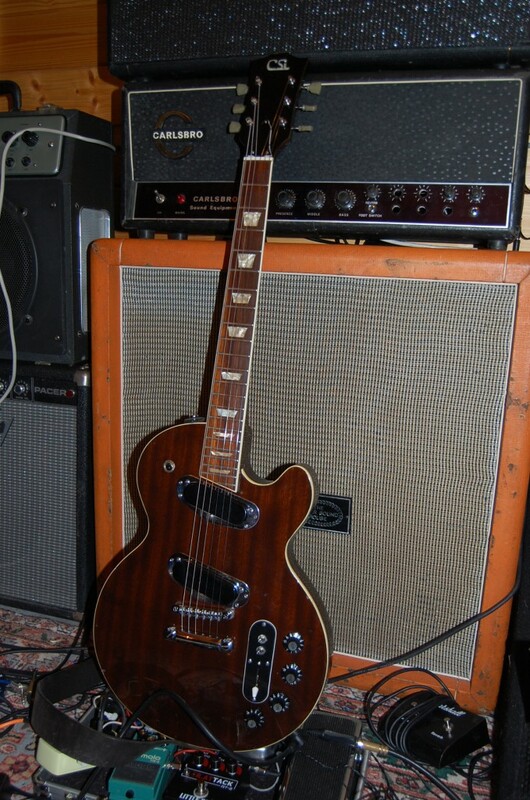 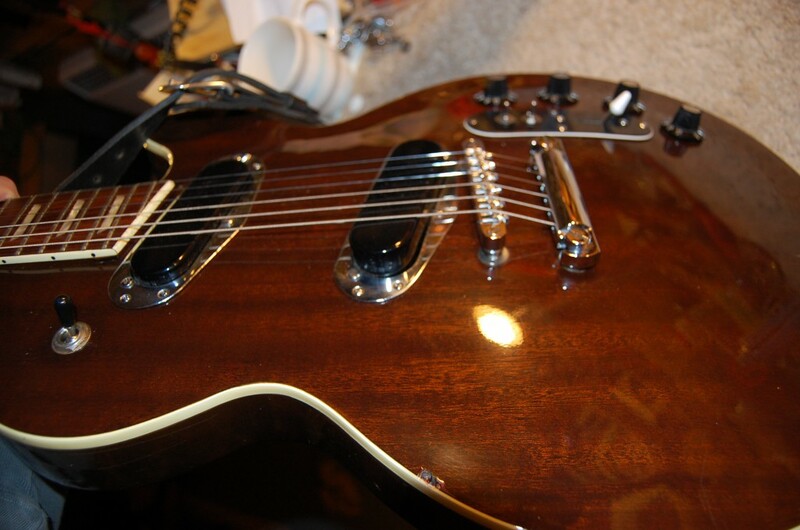 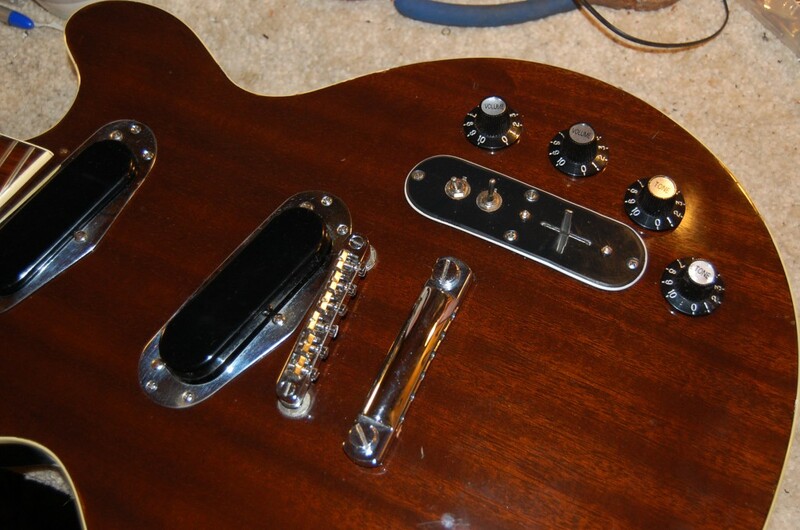 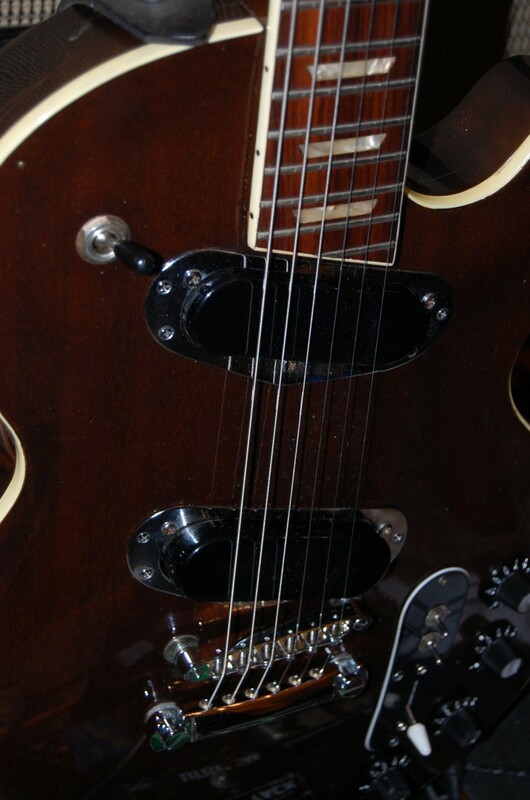 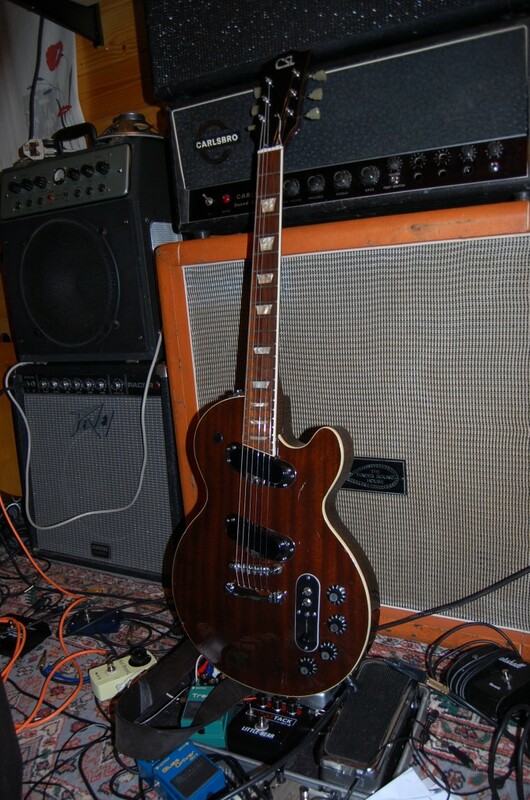 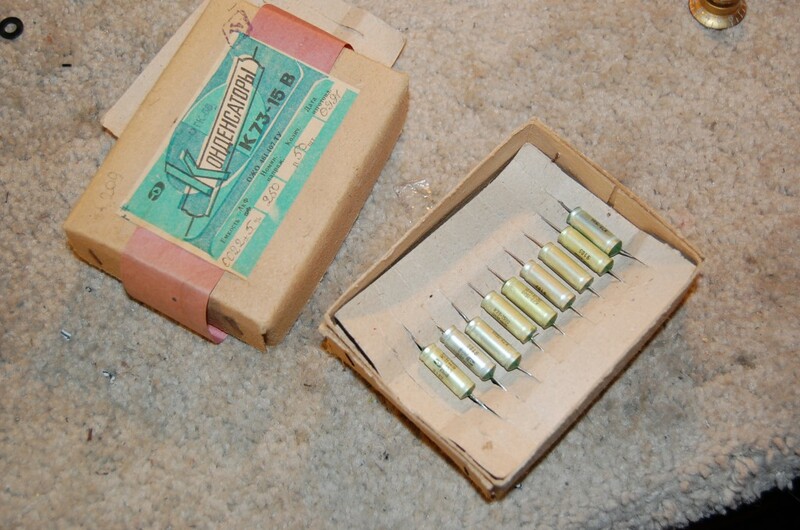 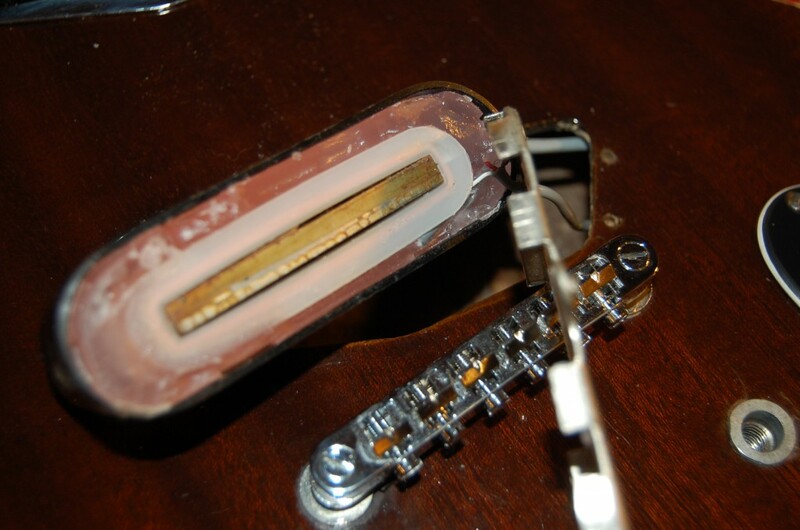 Love the sound of these pickups… like P90s.